The brain systems that govern motivation are built over time, starting in the earliest years of development. 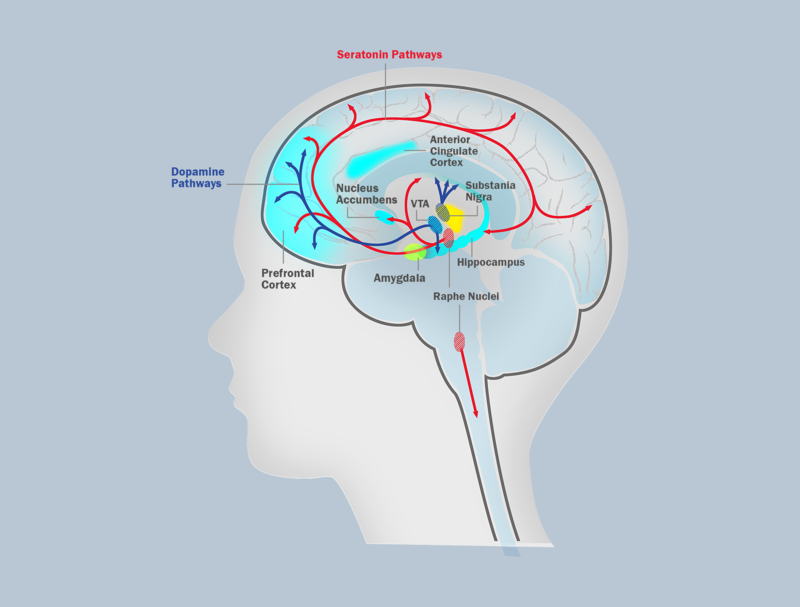 These intricate neural circuits and structures are shaped by interactions between the experiences we have and the genes we are born with, which together influence both how our motivation systems develop and how they function later in life. Providing children with the kinds of early life experiences that support the development of healthy, balanced motivation systems is key to ensuring positive outcomes later—for school, work, health, and raising the next generation. 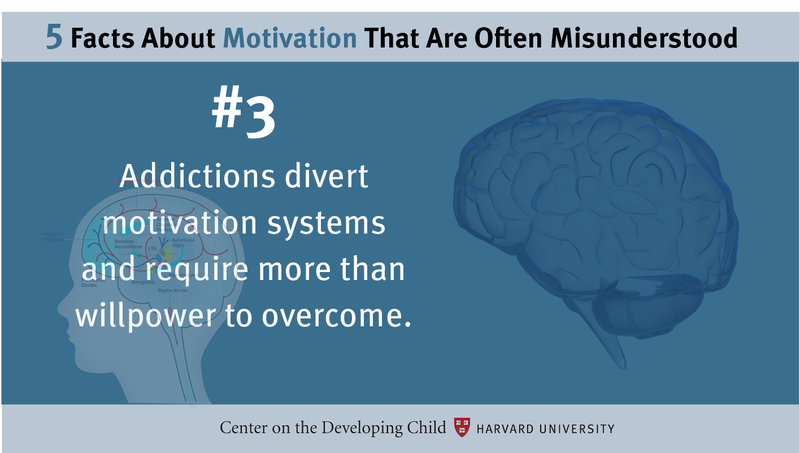 Below, learn five quick facts about motivation that are frequently misunderstood. 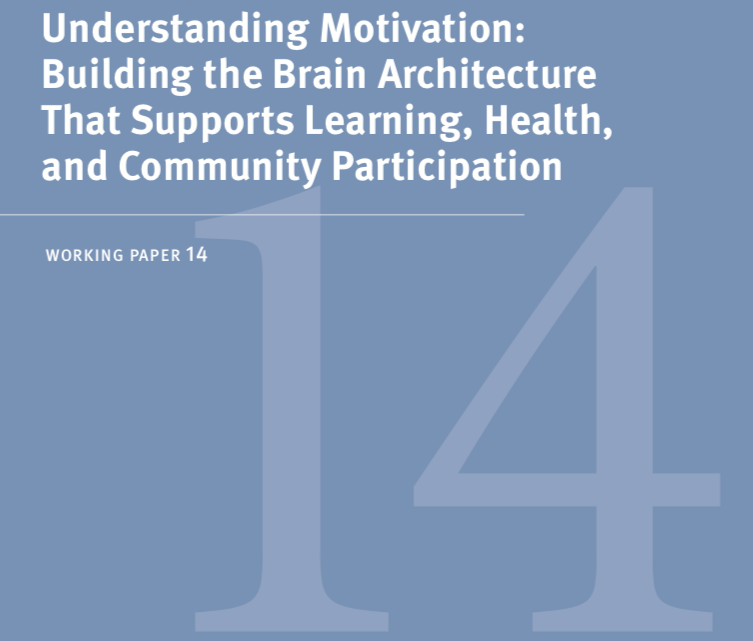 Motivation comes from a set of neurochemical networks that develop over time, as a result of the experiences we have. 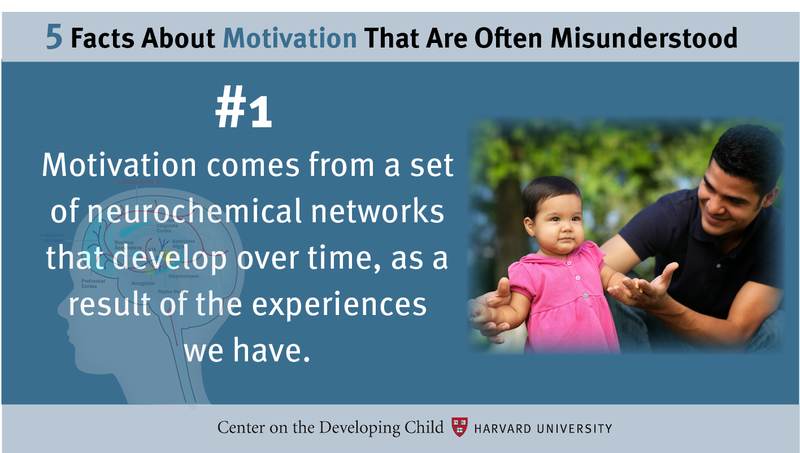 Despite the common misperception that some people just naturally have or lack motivation, science shows that the nature of caregiving relationships and opportunities for safe exploration that we provide young children affect the development of these systems—for better or for worse. The best way to sustain motivation is to support internal drivers with the right kind of external feedback. Carrots (rewards) and sticks (punishments) are not the only ways to motivate people. Systems focused solely on external rewards and punishments are unlikely to achieve sustained, productive motivation; those that balance intrinsically motivating activities—such as creative problem-solving and playful learning—with positive feedback are more likely to support healthy motivation over the long run. 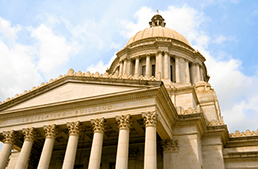 Addictions divert motivation systems and require more than willpower to overcome. Addictions chemically hijack the basic biological systems that have evolved for optimal survival. Addiction does not reflect a simple lack of conscious effort or a “failure of character;” managing addictions requires blocking these chemical diversions below the conscious level. 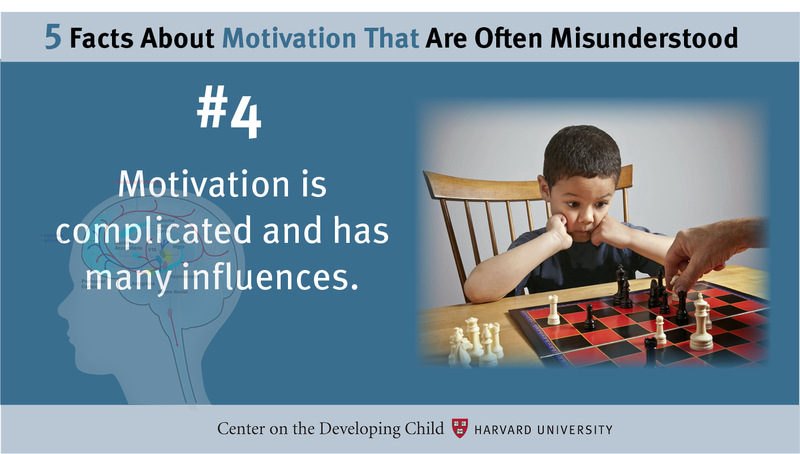 Motivation is complicated and has many influences. Behavior is affected by the experiences and conditions that shape a mindset that goal achievement is possible—and, critically, by having the resources, time, skills, and supports that make successful action feasible. It is incorrect to say that if anyone wants something badly enough, he or she will find a way to do it. 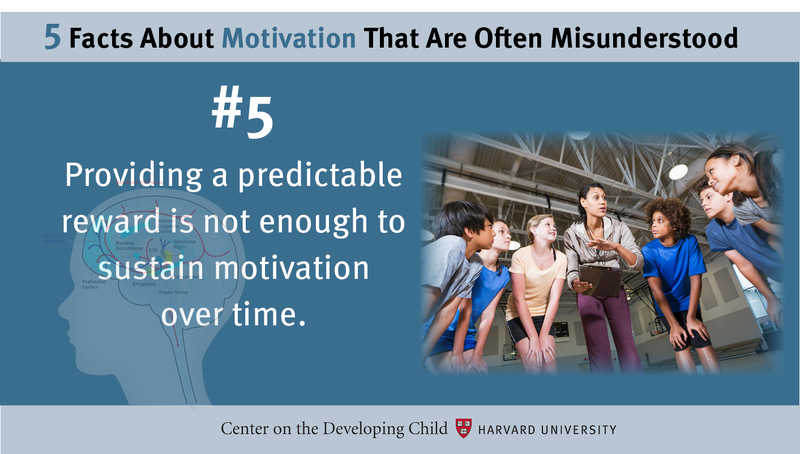 Providing a predictable reward is not enough to sustain motivation over time. Experiences that are exactly as expected every time lose their novelty, and eventually elicit less neural activity in the dopamine system. When we experience a reward that is better than predicted, the brain will prefer that experience in the future; if the reward is less than expected, the brain will ultimately exhibit less motivation toward that experience. So “keeping things fresh,” whether through new activities, different locations, or a different reward, is good advice for sustaining motivation.